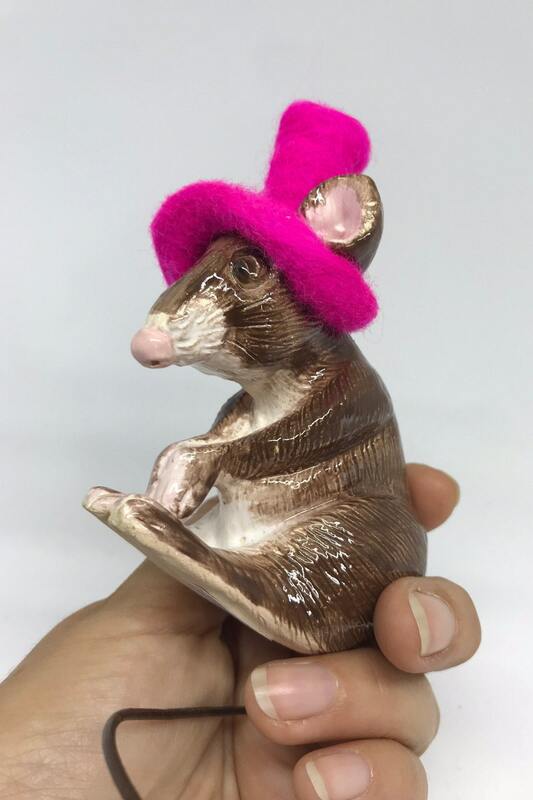 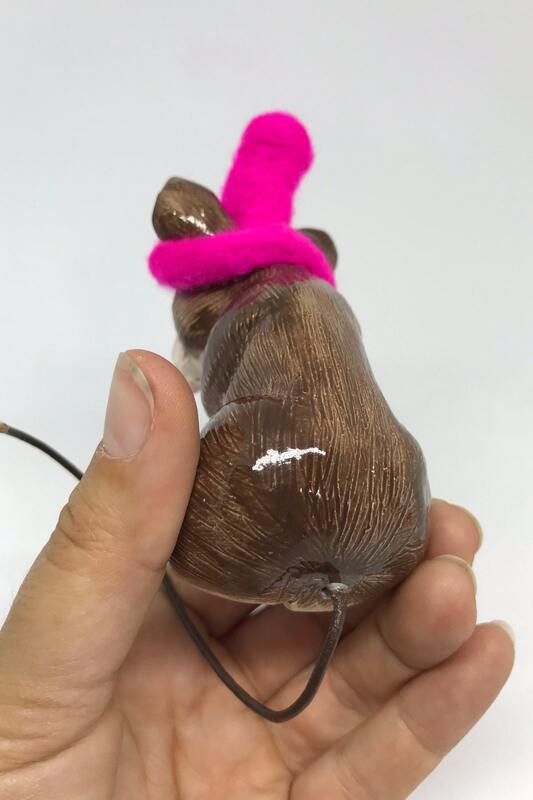 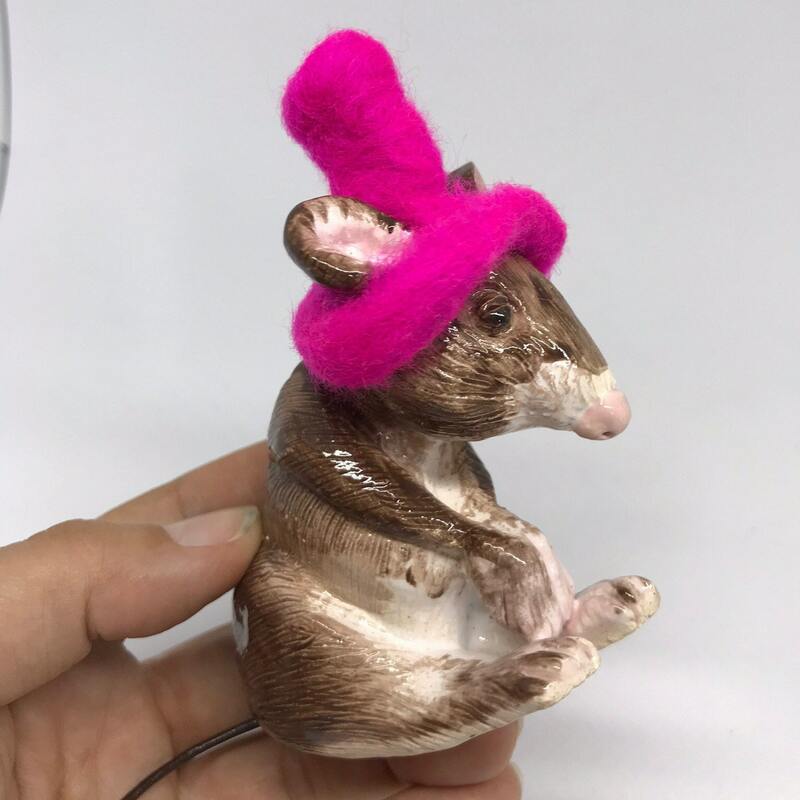 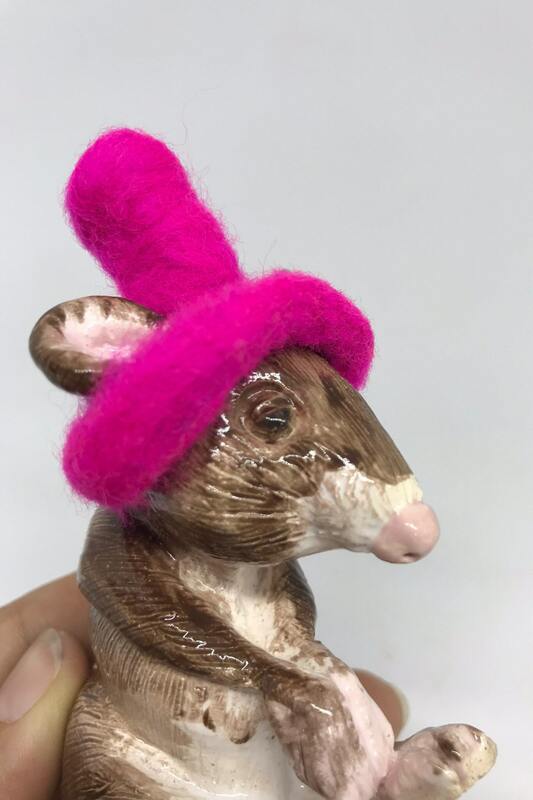 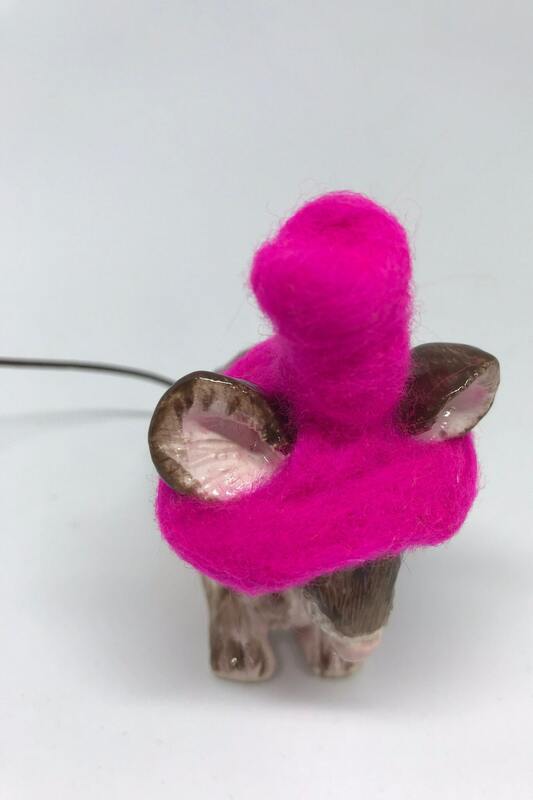 Mrs Pink miniature mouse, needle felted bright pink hat,Ceramic Ornament, Easter, Valentines Day, Anniversary, Birthday, Miniature, mice. 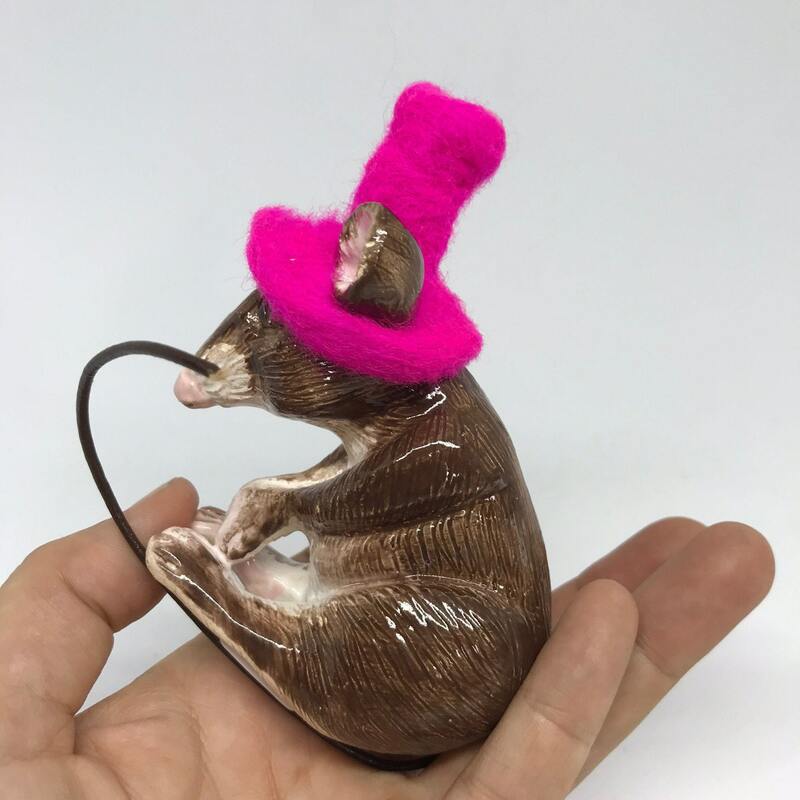 Miniature mouse with her flexy tail, sculpted out of clay, hand painted and fired in my kiln. 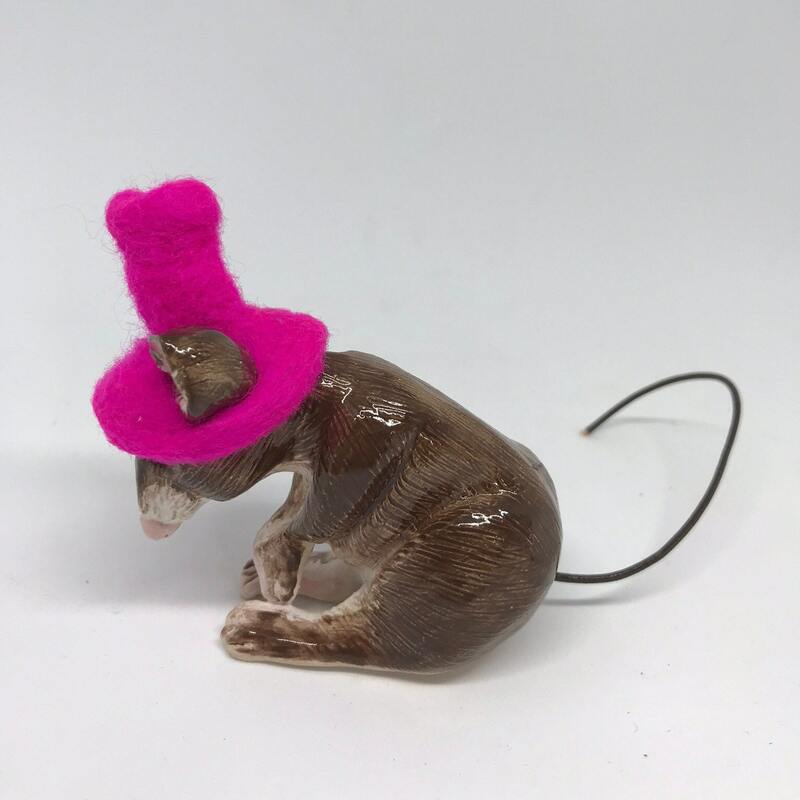 More handmade miniature figurines available. 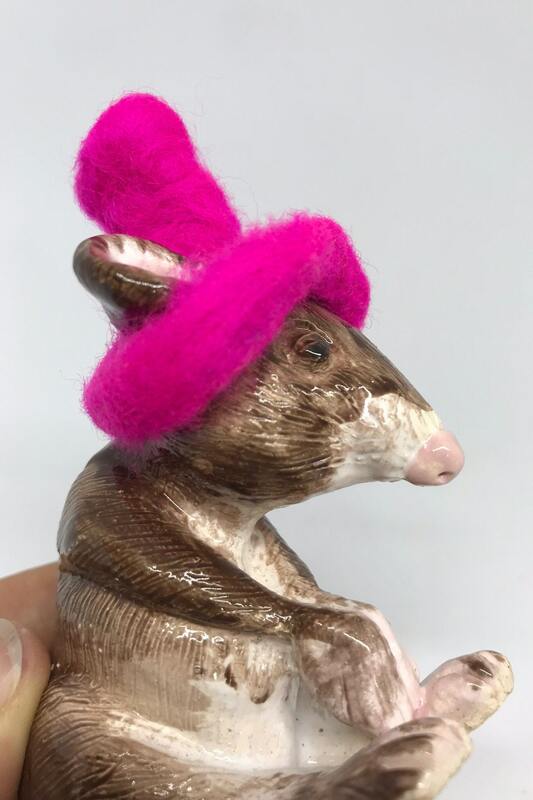 She is ready to pack her bags and travel to her new home. 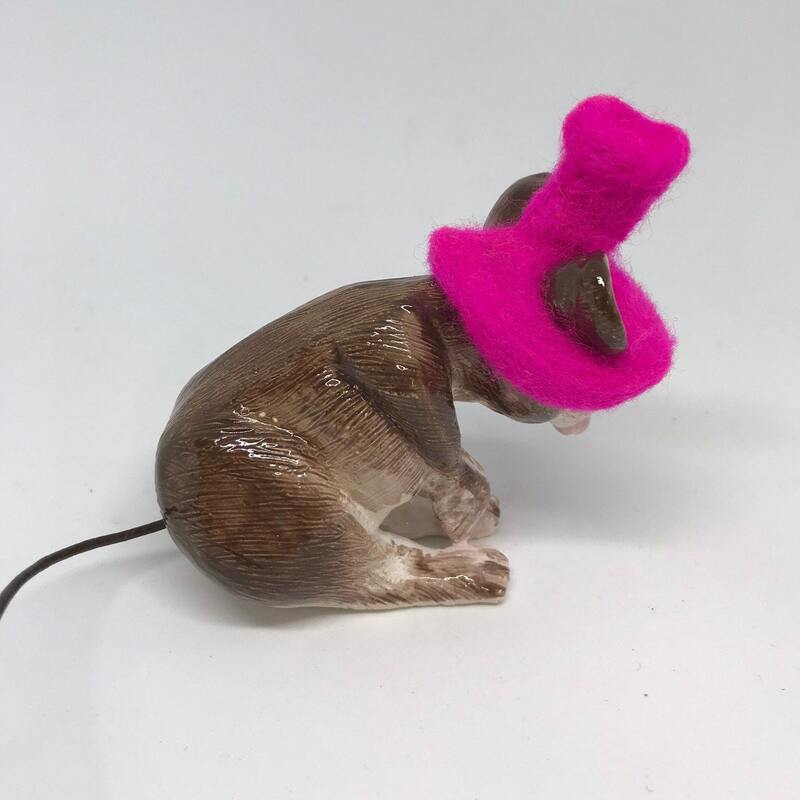 All she needs is to be named and a nice place to sit and watch the world go by. 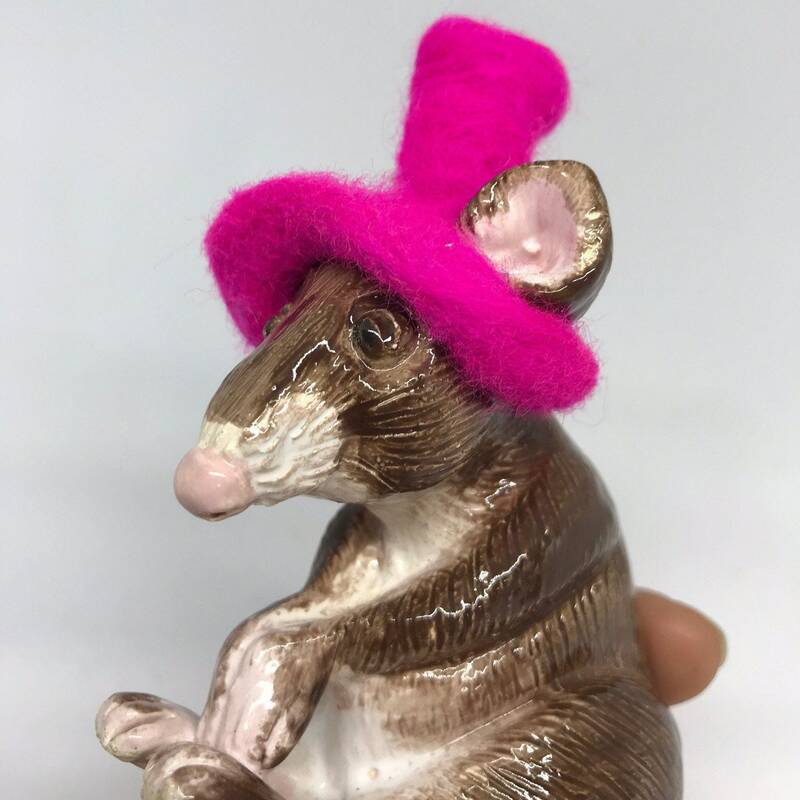 Thank you for reading about our little world.